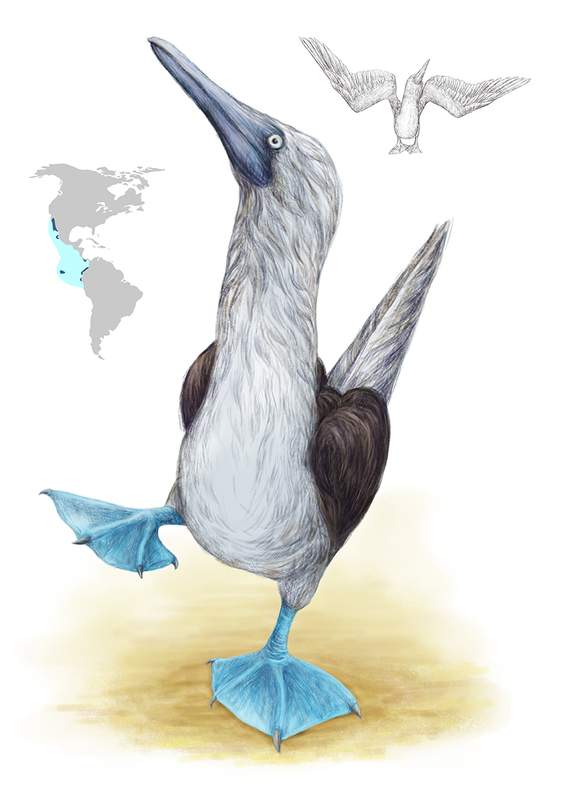 At the illustration – the blue-footed booby (Sula nebouxii). 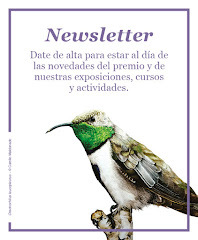 It is a marine bird native to subtropical and tropical regions of the Pacific Ocean. It is one of six species of the genus Sula – known as boobies. The name booby is derived from the Spanish word bobo, which can mean 'stupid', 'fool,' or clown. It is easily recognizable by its distinctive bright blue feet. The brilliant blue is a result of carotenoid pigments, which are obtained from the birds' diet of fresh fish. The feet of a male blue-footed booby is an essential part of his mating dance, as well as in the females decision to choose a mate. Blue-footed boobies also use their webbed feet to cover their young and keep them warm. Boobies feed at sea by plunge-diving from the air. They are powerful swimmers and can dive to depths.